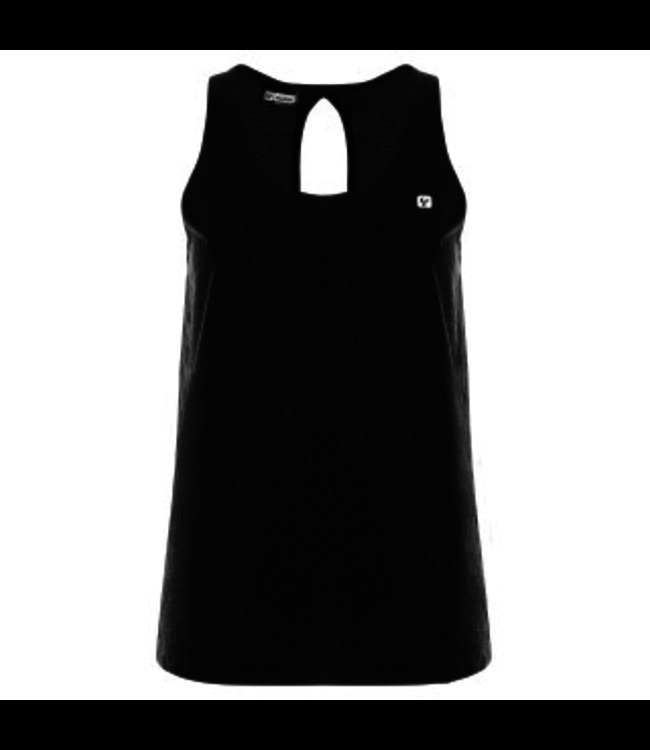 Comfort fit tank top in sustainable bio-based textured Br4™ jersey, a Made-in-Italy performance fabric. Round neck on the front, keyhole opening on the back, thin straps and straight along the bottom. Comfort fit tank top in sustainable bio-based textured Br4™ jersey, a Made-in-Italy performance fabric. Round neck on the front, keyhole opening on the back, thin straps and straight along the bottom. The garment's character is embodied in the shiny, textured fabric with a special geometric motif, decorated by the Italian tricolour print at the back and a pearl white Freddy logo.